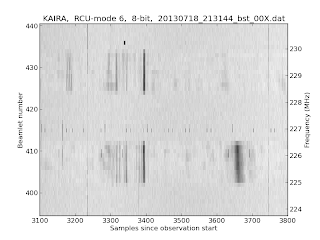 Occasionally we come across some strange signals in the data. 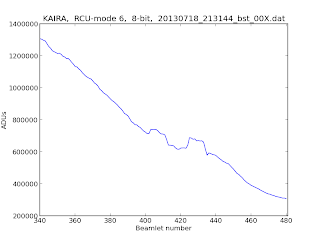 About a week ago, I was processing some RCU mode 6 data and was checking the received power as a function of beamlet. Because the beamlets were all at the same pointing direction, and had been mapped linearly with subband, there would be an expected slope from high to low with the increase in beamlet number. That is mostly what we got. However, the puzzling thing was the presence of a pair of "ridges" in the slope. It looked like there were two bands of increased power. They were only sometimes present too. However a 2D plot showed mroe clearly what was going on. 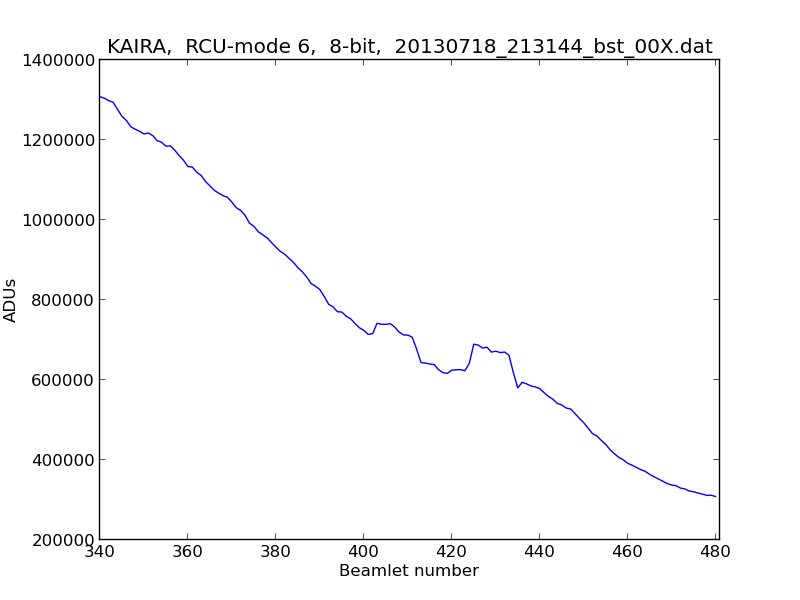 The above plot shows the beamlets plotted against time. The equivalent frequencies are shown on the right-hand side. The time axis is in samples (where 1 sample = 1 second, in these data). The darker the colour, the more radio power is being received. Just below 227 MHz there is some single-subband RFI. Also, at some times there are broadband (= all frequency) bursts, around sample 3230 and 3745 for instance. However, the two blocks of RFI that caught my attention in the first place a quite strange. They have a broad, but still finite in bandwidth. They are non continuous. 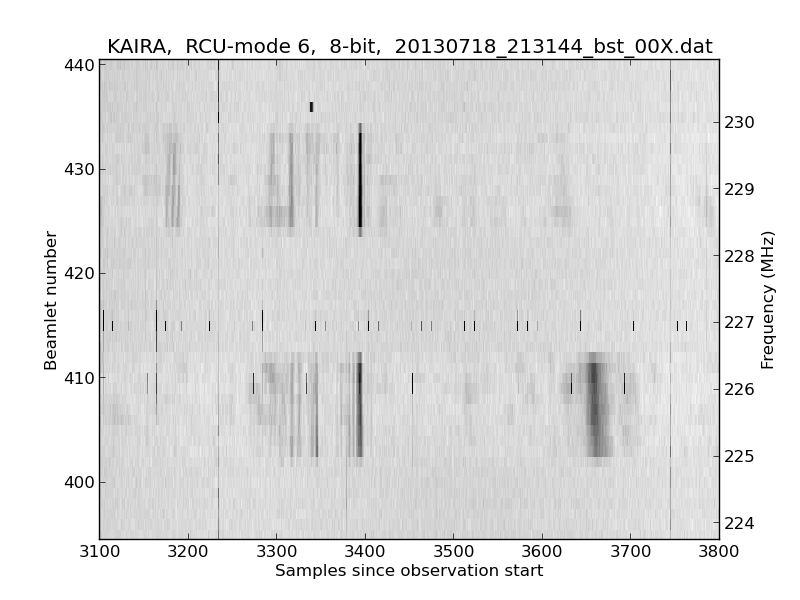 Also, there is a hint of dispersion in some of them. Also, they are broadcasting to two distinct blocks of frequencies, rather than a single range. We're not sure just yet what they are, but with luck we might be able to catch one with raw voltage recording. Certainly if anyone has any ideas, send and e-mail or leave a note in the comments section below.